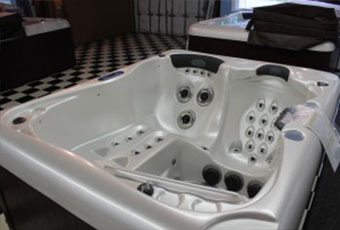 At Merodynamic Pool & Hot Tubs Spas of Georgia we stride to be a leader in Hot Tubs Spas Georgia Industry. We take Pride in our “Customer is King” Hot Tub Policy. Our commitment to excellence will exceed your expectations. 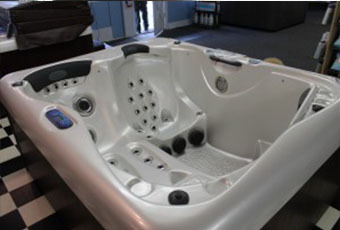 Buying your next Hot Tub from Merodynamic Spa lets you Rest Assured that your Hot Tub Spa investment will be protected better than any other. 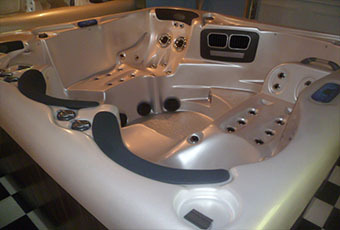 It is fact that one day your Hot Tub will need to be serviced, fixed, repaired or have parts replaced. This is where you are assured that Merodynamic Pool & Spa truly cares more about the “After Sale” Then any other Hot Tub Spas Company. 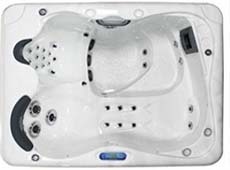 Call now and make an appointment to compare and save thousands of dollars by purchasing a Merodynamic hot tubs Spas of Atlanta! 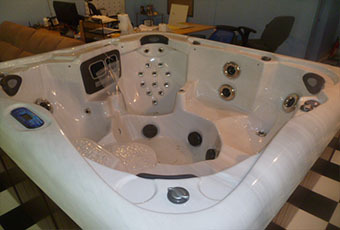 Our Hot Tubs / Spas Have Real Factory direct Pricing without gimmicks or pressured sales tactics. You now have a friend in the Hot Tub Industry! 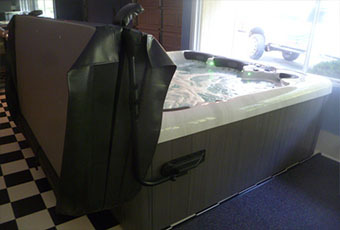 Most Hot Tubs and Spas are upgraded with many exciting features. 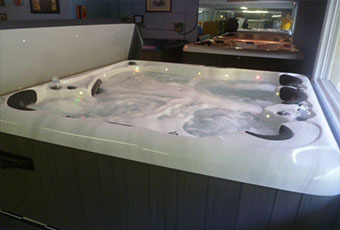 Including LED Lighting, Multiple hydrotherapy jets, waterfall features, Loungers and many more hot tub accessories that you wont find for our portable hot tub prices. Deal of the Holiday Week! 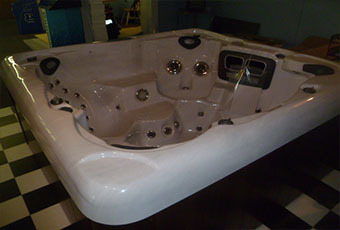 Our Signature Series Hot Tub with a Free Cover, Step and Easy Cover lift. Out the Door Price, Only $5,300.00 We won't be Undersold ! 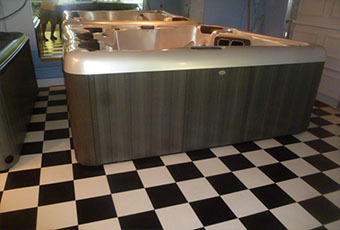 Careful Certified Delivery and Electrical Services are available for an additional charge. 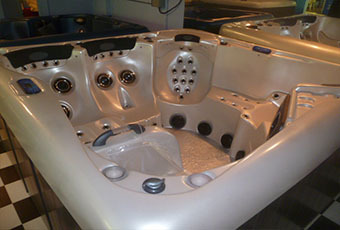 Our Hot Tubs Spas lead the Industry in production Quality and custom portable hot tubs and spa longevity. 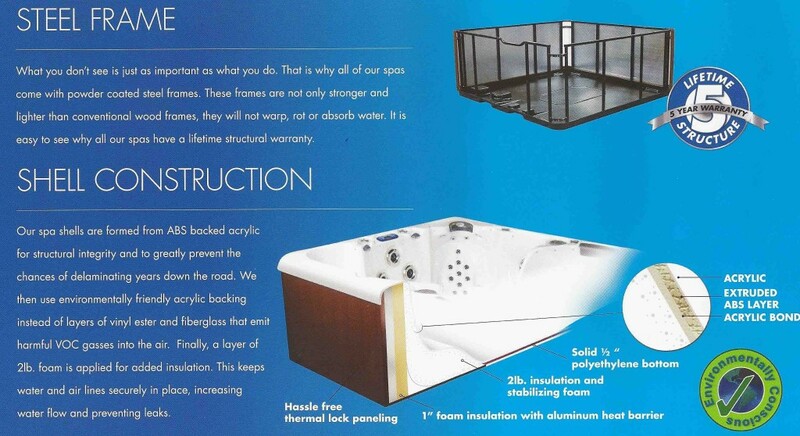 Our steel frame construction and our environmentally safe acrylic backing lets you rest assured that you purchased a quality Hot Tub. 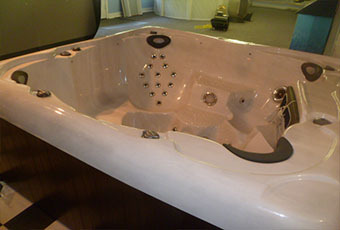 All hot tub spas are water tested for no less than twenty four hours to ensure that all components work properly. 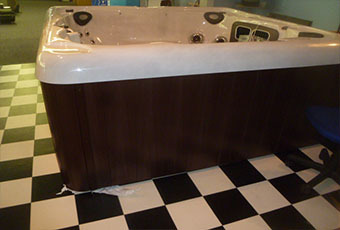 Our Lifetime warranty on the frame, acrylic shell and ABS bottom shows that we stand behind our Hot Tubs. 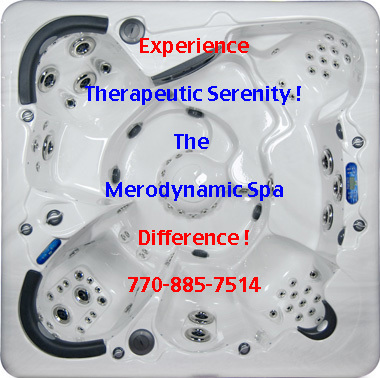 Please give Merodynamic Spas a call or email us and feel the heat tomorrow! 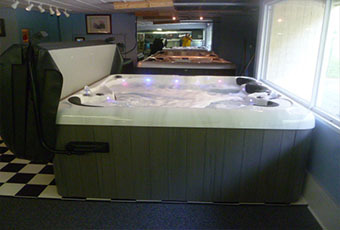 Decades of manufacturing Hot Tub Spas led to our state of the art hot tub designs. 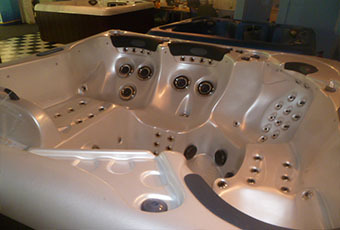 With each passing year our manufacturing plant produces a better hot tub spa that meets your needs and desires. 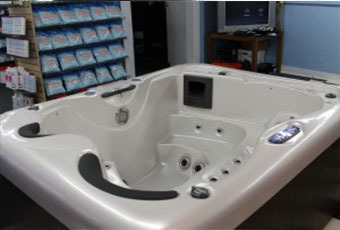 Our goal is not to be the largest hot tub store or spa showroom but to be the best by giving our customers many options. 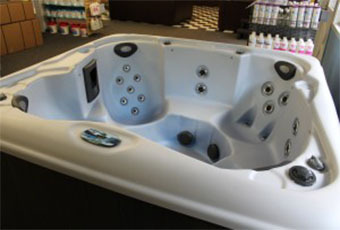 We offer the most popular "in Stock" hot tubs spas in Georgia. 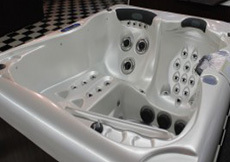 Or Merodynamic Spas will custom design your hot tub to your desire and need instead of trying to sell our customers hot tub spas they don't desire. 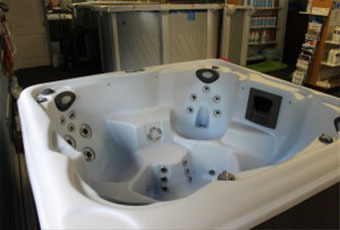 The precision manufacturing process of Our hot tubs is Unmatched! 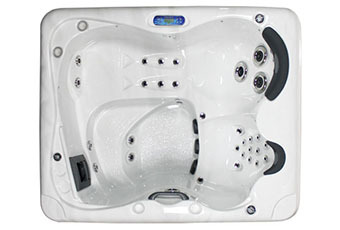 Our Hot Tubs have the perfect balance of performance features combined with conformed hot tub comfort.